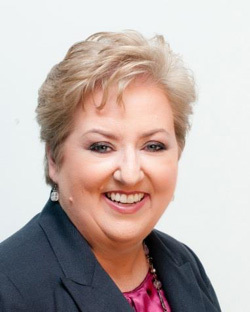 Linda Duffy, Founder and President of Ethos Human Capital Solutions, has parlayed 30 years of executive human capital experience into a thriving business of recruiting, consulting, training, and organizational development. Known as “The People Problem Solver®,” Ethos Human Capital Solutions develops strategies for business leaders to get the right people, systems, and culture in place to achieve their goals. Ethos’ clients include high-tech businesses, manufacturing firms, non-profit organizations and sole practitioners, and it specializes in addressing the specific challenges of Founder/CEO-led and family-owned businesses. Linda is a certified Senior Professional in Human Resources (SPHR), a SHRM Senior Certified Professional (SHRM-SCP), and a certified Practitioner of Neuro-Linguistic Programming. Her advanced coaching skills were honed during her volunteer work as a Senior Leader for Robbins Research International. Linda previously served on the Board of Directors for two non-profit organizations and one HR association, and she currently leads a business networking group that serves non-profit organizations. Linda earned a B.A. in Sociology and Political Science from Occidental College, and earned an M.B.A. from Webster University in 2012, where she is a member of the Delta Mu Delta honors society. Linda’s human capital expertise is featured in the 2012 book, “Roadmap to Success: America’s Top Intellectual Minds Map Out Successful Business Strategies,” alongside co-authors Deepak Chopra and Ken Blanchard. Linda has a passion for travel, especially by cruise ship. If Linda isn’t working with clients or on a cruise, she can be found attending, watching, or listening to games of her beloved Anaheim Ducks or Los Angeles Angels of Anaheim. Angels’ baseball is her first true love, and her goal is to see her team play in every MLB ballpark. 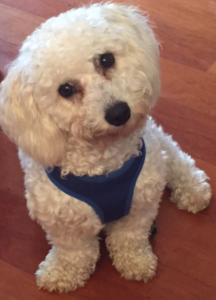 She even named her Bichon King Louisville Slugger – “King Louie” for short.